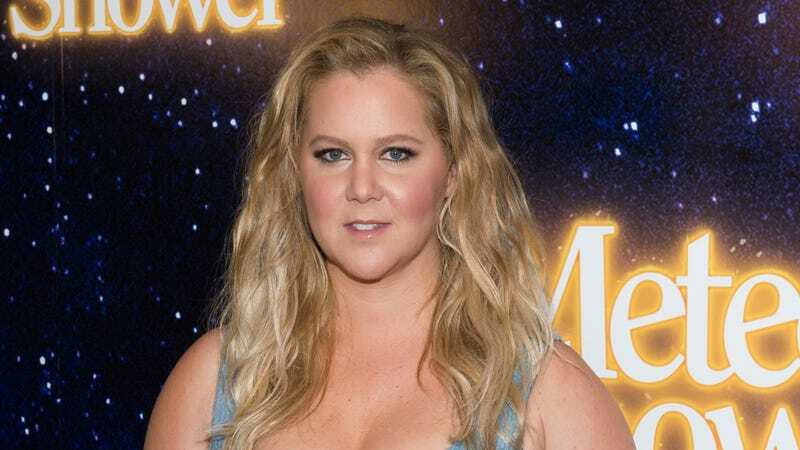 Amy Schumer offered her take on #MeToo in a recent interview where she also stressed the need for a “code of conduct” and talked about the accusation against her friend Aziz Ansari. As a guest on this week’s episode of The Katie Couric Podcast, posted on Thursday, Schumer spoke at length about the conversations around sexual violence and accusations against powerful men. In the middle of the interview (beginning around the 38-minute mark in the audio below), Couric mentions Ansari and notes how differently younger women and older women have framed the issue of consent—it’s “forcing older women to rethink the dynamics that go on in an encounter,” Couric says. Her natural reflex, she says, is to sympathize with the woman in these cases. “He’s been my friend, and I really, I feel for the woman,” Schumer says of Ansari. “I identify with all the women in these situations. My mind doesn’t go right to—even if it’s my friend, I don’t go, ‘Oh, but he’s a good guy.’ I think, ‘What would it feel like to have been her?’” Listen to the full interview in context below.